Is your dog a bundle of energy? He is bouncing off the walls, and you know he needs exercise. He can get that and more at a local dog park. He’ll get to run and play as much as he wants, and he can even interact with other dogs. Get the scoop on the best dog parks in the area and then take your furry friend out for a playdate. Your dog will have a full acre to run off the leash at Highland Dog Park. There are always lots of dogs at this park, so your pup will get lots of chances to make new friends. Also, there’s a separate area for small dogs, so you can bring your little pup with you without any worries. Salem Rotary Dog Park is another top choice. This dog park is mainly covered in wood chips, and it has tons of open space. It’s open from 6 a.m. to 10 p.m. every day, and you can watch a camera feed on the website. Check the camera feed before you go so you can see if there are dogs there. If there are, pack Fido up and take him on a fun adventure. 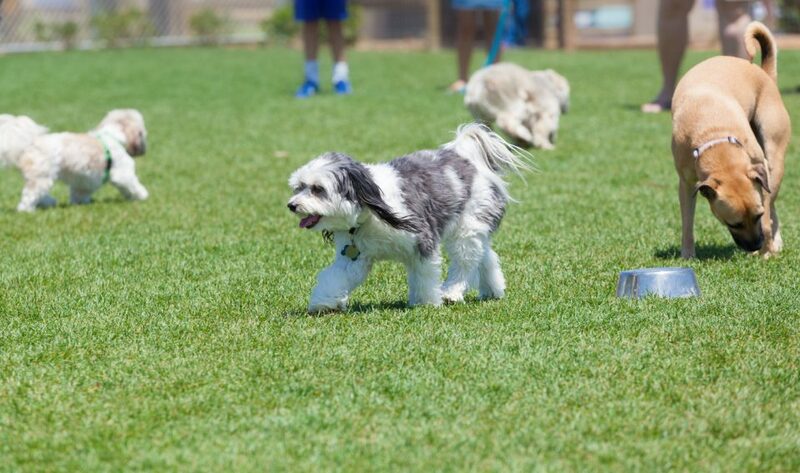 Your pup will love going to Thrasher Dog Park. This one-acre park has areas for big and small dogs, and it has a pet fountain and mutt-mitt stations. The park is always hopping, so Fido is sure to be worn out when he gets done playing. Don’t be surprised if he trots away with some new friends. Your dog is going to have a blast at the dog park. Now that Fido’s covered, you need to think about yourself. What can you do to ensure you have a great time? How about a new vehicle from Berglund Automotive in Roanoke, Virginia? It’s easy to have a blast when you have a new set of wheels to enjoy.